Background: In 1935, Carter left the United States to play and write in Europe, and his presence there had an immediate effect on European jazz and dance musicians. 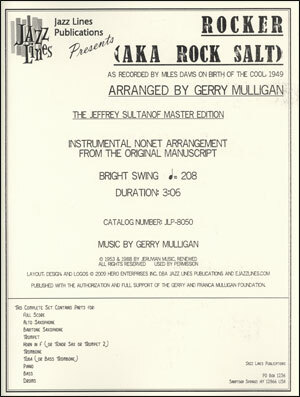 After staying in France for nine months, Carter accepted an invitation to arrange for the BBC Dance Orchestra under the direction of Henry Hall, and while he could not play with the orchestra because of British music union rules, he could play on a series of recordings contracted by the Vocalion (UK) label. The Music: On June 20, 1936, Carter and a quartet (which included Americans Gene Rodgers and Bernard Addison) made the first recording of 'When Lights Are Low' with a vocal by fellow expatriate, vocalist Elisabeth Welch (lyrics were written by Spencer Williams). 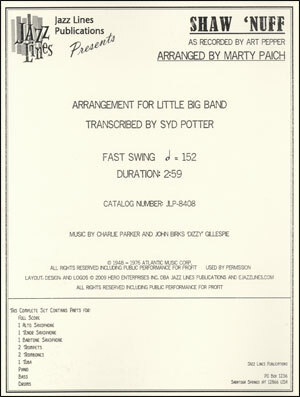 The first recording of the song for big band was recorded in Holland by the Kai Ewans Orchestra, and the song became the band's theme. Carter took the vocal himself on this recording. 'When Lights Are Low' is Carter's most popular song, recorded many times over the years. 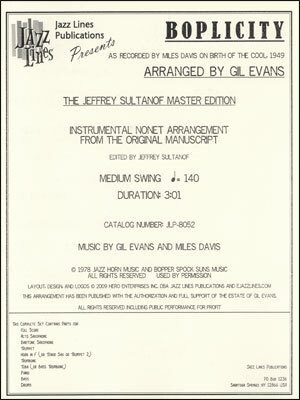 Perhaps the most famous version was made by Miles Davis in 1953, who unfortunately used a different bridge than the one Carter wrote, and this 'bridge' has been recorded many times in error. 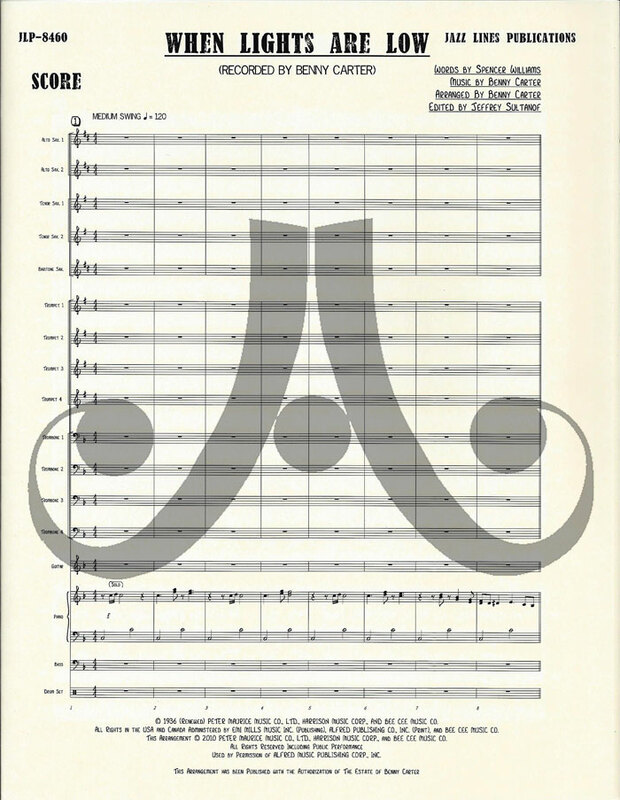 The arrangement presented here was first performed by an all-star big band led by Carter for a concert at Princeton University on December 3, 1973. The parts reveal that Carter made quite a few changes over many performances of this setting; there are cross-outs, paste-overs and rewrites in pencil by several hands. This is the final version of Carter's arrangement. 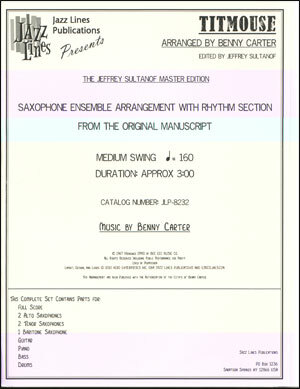 Notes to the Conductor: Benny Carter's arrangements are models of taste, economy and they warrant study by students and professionals alike. They are almost Mozartean with regard to voice-leading and clarity, with not one wasted note. 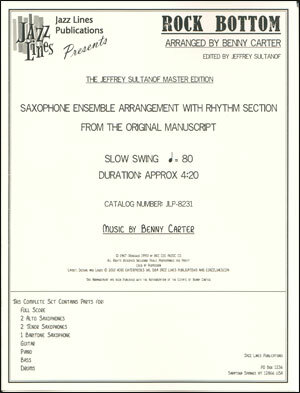 Many have saxophone soli for which Carter was well-known. 'When Lights Are Low' is not difficult and can even be played by many Middle School bands. But like Mozart, this music does present challenges that can test a professional ensemble. 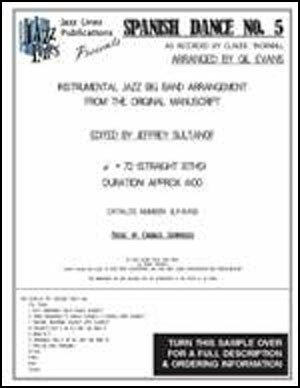 The sax soli must sound like one person, and since the baritone saxophone doubles the first alto, both players should practice together to master the intonation challenges in the high register. 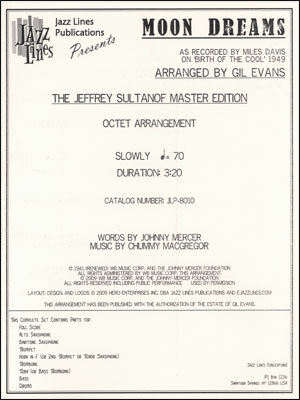 Articulation should be followed exactly, and the piece should not be played too fast. Finally, please make the distinction between the swing eighth and the dotted eighth-sixteenth figures, but such figures should not sound overly exaggerated. There are no saxophone doubles.